Here in Austin, it appears that word has gone around that the gas is running out. Prices are up 25¢/gallon and the lines are starting to stretch out into the street. 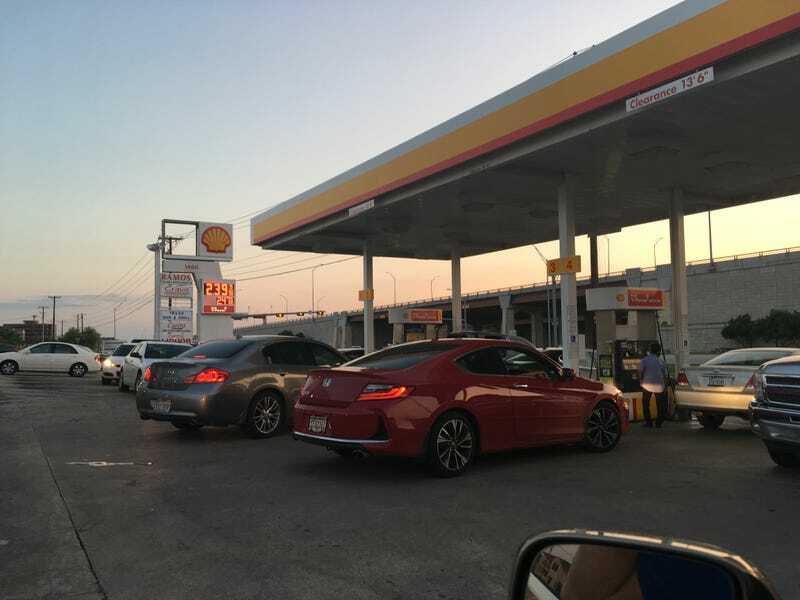 I’m legit out of gas, but it looks like everybody is trying to top off before the gaspocalypse.